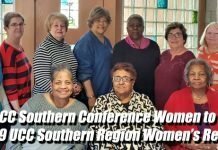 The Southeast Conference was well represented at this summit of some 150 diverse United Church of Christ leaders from around the nation who gathered on April 9-10 in Cleveland, Ohio. 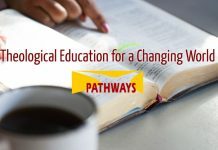 Lou Kavar, Ginnie Ferrell, and Ashley Cleere represented PATHWAYS Theological Education, Inc. while Cameron Trimble attended on behalf of The Center for Progressive Renewal. In his opening remarks, UCC General Minister and President John Dorhauer described keynote speaker Bishop Yvette Flunder of City of Refuge UCC as a provocateur. Her moving address activated those who were gathered: pastors, Christian educators, conference ministers, seminary administrators, clergy, laity, students, and retirees, to name a few. In plenary sessions and small groups, these devoted individuals embarked on the process of crafting a vision that draws on the assets of the Church amid a changing culture. Innovation related to theological formation reflected the ardent variety of expression comprising the UCC. Contemplative communities, social media, traditional worship, immersion experiences, interfaith endeavors and more stirred hope for abiding networks and increased connectivity. As a culminating event, attendees were invited to join one of seven task teams, each with a different focus. 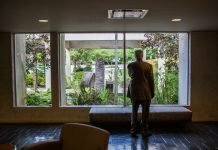 In keeping with their mission, the team from PATHWAYS was especially drawn to “Resourcing Ordained Clergy and Laity to Support and Advance Theological Formation.” Not surprisingly, enthusiasm about the prospect of new models and widespread change swept through the meeting hall, creating unity as people returned to their respective ministries.